One bold drug dealer appears to subscribe to the “try before you buy” mantra and is actually handing out business cards with a free sample of weed attached. Locals say the man – identified only as ‘Jay’ – has been spotted dropping off his cards at house parties and on street corners in the student areas of Fallowfield and Levenshulme in Manchester, as well as outside Platt Fields Park. Residents are concerned that this is no green upstart they’re dealing with and one Fallowfield local reckons the entrepreneurial lad probably changes the phone number on the cards regularly to avoid getting caught. It’s outrageous. People are just targeting the students. I suppose it’s free business and there’s a lot of money to be made with thousands of students on their doorstep. Fallowfield has now got an international reputation as the place to party and get your drugs. 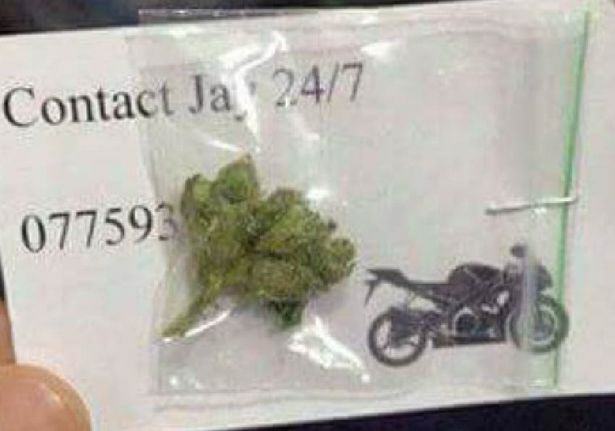 Drug dealing has been going on in Fallowfield for years, but the brazenness and the business cards are a new thing.